Jake Taylor talks to Francis Rossi as his iconic band pulls the plug on their live gigs. 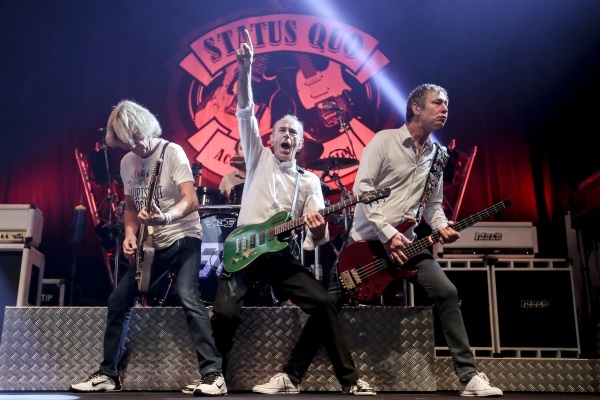 It’s been nearly 50 years since Status Quo burst onto the UK rock scene, and despite their lifestyle they’ve shown little sign of slowing down. As they set off on their last ever electric tour, frontman and co-founder Francis Rossi reflects on the band’s incredible success. As one of the founding members of one of Britain’s most long-lived and successful rock bands, you could almost forgive Status Quo’s Francis Rossi for having a ready-made, cliché-filled answer to why his band are still filling arenas after nearly half a century together. But even Rossi – who clearly has no issue with speaking his mind – is a little bit stumped when it comes to the secrets of the band’s longevity. 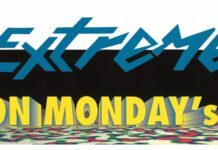 Lucky or not, the fact remains that as the band with a record-breaking amount of UK chart singles – more than Queen or The Rolling Stones – Status Quo’s unique brand of anthemic, guitar-driven rock ‘n’ roll has captured the attention of legions of devoted fans over the years. As 2016 draws to a close, however, it brings with it The Last Night of the Electrics tour – and the retirement of the Quo’s energetic electric live show after all these years. Those “wild times” during the Quo’s most fruitful years garnered both Rossi and his bandmate Rick Parfitt a reputation for hedonism befitting of the stereotypical ideal of the ‘rock ‘n’ roll lifestyle’. For Rossi, however, this is nothing more than “the myth of show-business,” and he’s all too happy to reveal the truth behind the supposed glitz and glamour.